So you want to try those feather hair extensions that all those trendy girls seem to have. I thought they were really cool, but wasn't sure if it was something I wanted to get done at the salon because it might be too expensive--and how long would they last anyway? What if I didn't like it or something? I'd be stuck with feathers in my hair! They're not exactly something I think I could get away with wearing at work. So when I heard about Sultra's natural feather accents, I thought it would be a good compromise. They're fairly inexpensive and come in a variety of colors ranging from neutral to daring (I was feeling adventurous and chose Pink Passion). Each extension comes with four feathers attached to a snap clip. Plus, you won't have to commit and if taken care of, they'll last for a long time. Okay, so it was a little tricky figuring out where/how to put it in, but I learned through trial/error that if you twist a reeeeeally small section of hair and position the clip near the roots, it is much easier to snap it in! I didn't have any problems with pulling/slipping. I found that you can really put it anywhere, but think it looks best behind your ear, or higher near the front layers of your face (so long as it's clipped underneath a section of hair thick enough to camouflage the snap). The feathers are bright and long enough that they're noticeable, but if you fingercomb it into your hair a little bit, it blends quite nicely. Something cool that I've been too chicken to try out: You can style them! They can be curled and straightened like real hair (but carefully, of course). 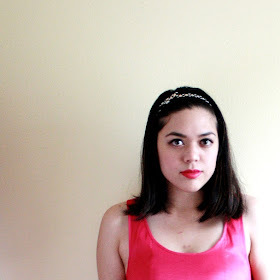 I definitely want to try curling them next time (but I'll save that for a future post). 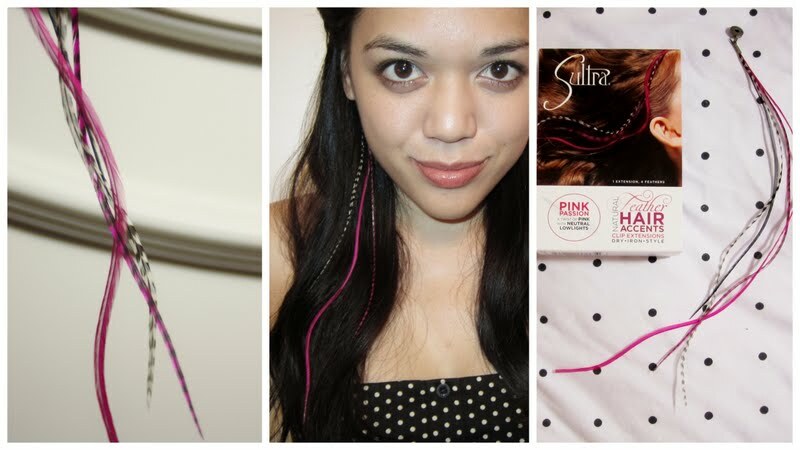 You can get Sultra's Natural Feather Hair Accents for $25 each at Sephora or Sultra. I received this product courtesy of a PR company and was in no way compensated for the review otherwise. This review reflects my honest opinion/experience with the product.